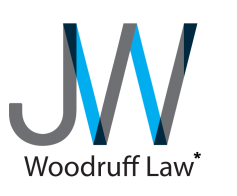 Please email Jennifer at jennifer@woodrufflaw.ca, providing your full name and your spouse’s name, letting her know what types of services you are considering (for example, Cohabitation or Marriage Agreement, negotiation and drafting of a Separation Agreement, a Desk Order Divorce, and whether you are open to either Mediation or the Collaborative process). After a conflict check, Jennifer will ask for more information and then set up a time to speak with you by phone. I received my law degree from the University of British Columbia in 2007 and was called to the bar in 2008. Since that time, I have worked as a family lawyer in Vancouver, first at a boutique law firm and then on my own. I have a settlement-based family law practice and I am also an accredited Family Law Mediator. My preferred area of practice is Collaborative Family Law, as I believe that the involvement of additional professionals helps best support a family to resolve their matter amicably and with a forward-looking mindset. The Collaborative model’s inclusion of mental health professionals ensures that the best interests of the children are prioritized and the financial experts can help couples feel confident that they are prepared to move forward on their own. I offer unbundled services related to drafting and providing independent legal advice for Cohabitation, Marriage and Separation Agreements and can complete a Desk Order Divorce for couples once they have a Separation Agreement. I am working with colleagues to establish a flat fee Collaborative model, providing more certainty to clients who prefer more certainty about legal fees. 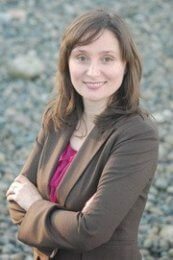 I currently volunteer on two non-profit Boards, including the Collaborative Divorce Vancouver Society. In addition to Family Law Mediation, as of mid-May 2017 I can also offer clients an Integrated Mediation option, which is a more holistic, co-mediation model. Jennifer tries to help clients see the big picture and be honest about what is fair for everyone involved and in the best interests of the children, while also acting as an advocate for her clients. She knows that a respectful negotiation that looks at both people’s perspectives is important, especially when there are children involved, because the negotiation of the division of assets, debts, support and parenting time may mean the end of a marriage, but it is just the beginning of a new co-parenting arrangement. Jennifer normally meets with clients in the Olympic Village area, but she knows that finding the time to leave work can be difficult, so she does as much work with clients by phone and email as possible. She is sensitive to how expensive this process can be and suggests the inclusion of other professionals, whose hourly rates are often lower than lawyers’, whenever possible. The additional advantage of the inclusion of mental health professionals and financial experts is that their services can help empower family members to move forward confidently, when the legal process is complete. Jennifer is not a loud, boisterous lawyer; she instead endeavors to offer thoughtful, practical, reasoned advice that carefully considers what is best in each family’s circumstances as she works to create a durable Agreement.